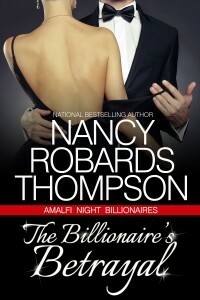 We’re celebrating the Amalfi Night Billionaires with all five authors in the series! Keep reading to learn more about a few of your favorite writers and the latest stories from Holiday Books. What’s your favorite place and time to write? Katherine Garbera: I love to write first thing in the morning. When I’m in the middle of a book I usually wake up around 4 or 5, hop out of bed, go downstairs and settle into my recliner. It’s super comfy and I write on my iPad using an app (Hanxwriter) that makes a typewriter sound. I love it. Nancy Robards Thompson: Any place except my office. Unfortunately — no, let me rephrase that, fortunately, that’s where I get the best writing done, but sometimes it feels like a cave. It can feel cozy or like a prison depending on the day. I’m a night owl by nature, but I’m trying to get on a regular work-days and sleep-nights schedule. I just can’t pull the all-nighters like I used to. Kathleen O’Brien: My back porch, in the rain, late afternoon. Unfortunately, I also have to write inside, when it’s dry, morning and sometimes late into the night. Deadlines are like that. Tell us something personal that not many readers know about you? Mimi Wells: There’s not much people don’t know about me (I’m quite the talker), but I will say that I’m quite good at movie dialogue. And when it comes to movies like Monty Python and the Holy Grail, The Princess Bride, Raising Arizona, or Better Off Dead, you can listen with the sound off. I’ll be sure you get everything! EG: I’m a sucker for happy endings. KG: My life is full and blessed. I love those words because they make me take stock every day in all the good things that I have in my life. MW: Don’t panic, and always know where your towel is. NRT: The race is long, and, in the end, it is only with yourself. KOB: The person who enjoys the most stuff wins. I’m not big into pooh-poohing anything automatically. The family I grew up in believed that, if you couldn’t find something to appreciate in a person, style or idea, you weren’t trying hard enough. EG: Enjoy your family and friends. They are your rock that will get you through the bad times and make sure you remember the good ones. Name five items on your desk right now. 5) Pop Vinyl figures (Wonder Woman and Luminaire) given to me by my kiddos. NRT: 1) A stuffed corgi that my daughter gave me. 2) A glass dish from Murano, Italy. 3) A small bag of lavender. 4) A tube of Burt’s Beewax Lip Balm. KOB: 1) A Ferdinand the Bull figurine, to remind me to stop and smell the flowers, just quietly. 2) A wretched mound of papers waiting to be filed. I try not to see this, ever. 4) My fat, furry cat, Purrsia, who thinks she should sleep where my keyboard should go. What makes your billionaire different from the others? KG: Rocco is a man who goes through life determined to conquer all things. His fears, his competition, Steffi! But really he lives for the challenge and as he gets older he finds the challenge isn’t conquering and moving on as much as it used to be. MW: Shel’s a bit of a tortured artist underneath all that testosterone that makes him take crazy risks and drive too fast. He made his fortune as a writer/producer and composes improvised jazz piano pieces. NRT: Matteo De Luca is the oldest and probably the most responsible of the five De Luca brothers. He’s also stubborn, laser focused on what he wants and very passionate. 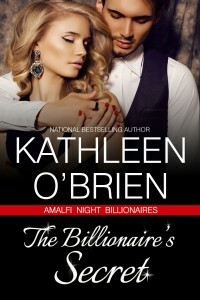 KOB: Declan Muldoon has recently discovered that much of his family’s fortune was built on corruption. He has no interest in being a part of all that anymore. As he tries to start his own landscape design business, he’s living down-to-earth, literally and figuratively. EG: Luke is first generation Italian American and lives in Texas. He got out of the family real estate business to become a private investigator. Thank you for joining us, ladies! 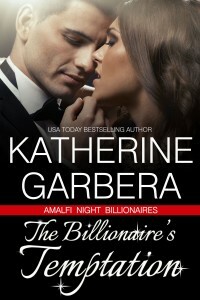 Find the Amalfi Night Billionaires series at your favorite online retailer. 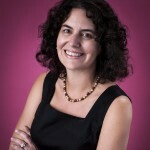 Katherine Garbera is the USA Today bestselling author of more than 70 books. 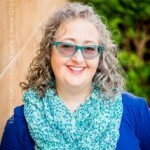 She’s the mother of two fabulous kids who make her feel blessed every day to be their mom, the wife of one dynamic games producing husband and chief-treat-giver to one demanding miniature dachshund. The misplaced Florida girl lives in the midlands of the UK. 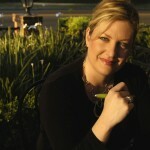 Find her on the web at www.katherinegarbera.com, FB: KatherineGarberaAuthor, and on Twitter: @katheringarbera. Mimi Wells worked as a mother’s helper, an aerobics instructor, an arts magazine editor, a project typist, a grammarian, a graphic designer, a waitress, a lingerie saleswoman, and a soda jerk before finding her niche as an award-winning high school English teacher and writer of young adult and Southern women’s fiction and romance. Mimi reigns as Empress of the Barefoot Domain in sunny Central Florida with her husband, two children, and two Brittanys—all of whom are spoiled completely rotten. 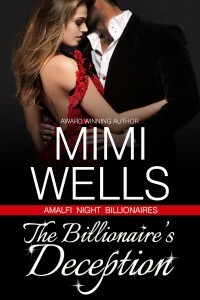 Visit Mimi online at http://www.mimiwells.com, like her on Facebook (Mimi Wells Author), or follow @mimi_wells on Twitter, Instagram, and Pinterest. 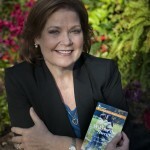 National best-selling author Nancy Robards Thompson has worked as a newspaper reporter, television show stand-in, production and casting assistant for movies, and in fashion and public relations. She started writing fiction seriously in 1997. Five years and four completed manuscripts later, she won the Romance Writers of America’s Golden Heart award for unpublished writers and sold her first book the following year. Since then, Nancy has sold 30 books and found her calling doing what she loves most – writing romance and women’s fiction full-time. 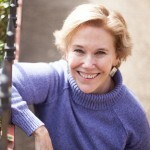 Kathleen O’Brien is the bestselling author of more than forty-five books. She lives just outside Orlando with her former newspaper-editor husband. Their two terrific grown children–and their own great spouses–live nearby, which, for her, constitutes the perfect world. She’s a five-time Rita finalist, and the winner of the Maggie, the Holt and the Colorado Romance Writers Award of Excellence. 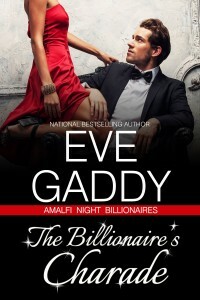 Eve Gaddy is the Bestselling, Award Winning author of more than twenty-three books. She’s the mother of two great children and the grandmother of three absolutely adorable girls. She lives in East Texas with her husband of many years and her Cocker Spaniel, who her husband says is incredibly spoiled and who thinks she is the Queen of the Household.